If you’re a busy mom on the go and tired of eating take-out comma Dream Dinners is a great option. 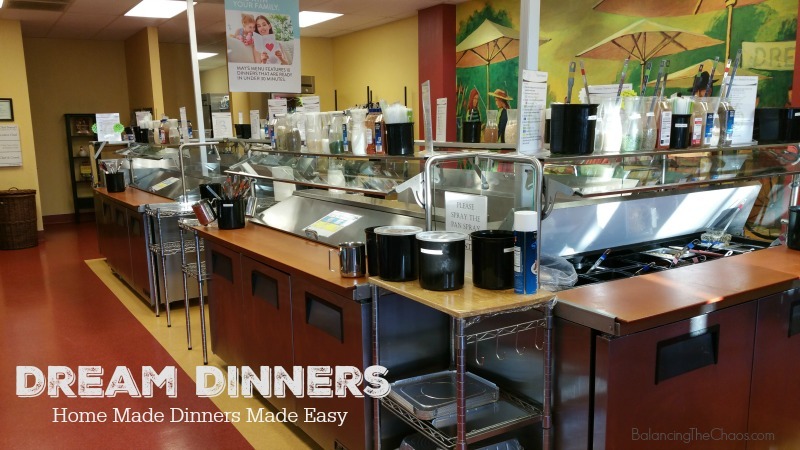 Dream Dinners takes one night to prepare as many meals as you might need for the month. Package them up and store them in your freezer to cook at the most convenient time for you. 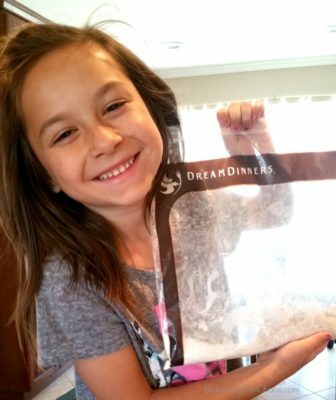 We planned a girl’s night sampling event to check out Dream Dinners operations and packaged up meals we felt our family would enjoy. First off, we all selected the Chateau Chicken. One by one we stepped up to the counter to prepare our meals 4 freezer storage. We followed along a detailed list of instructions and pre-measured ingredients and package them into the appropriate labeled bag with cooking instructions and set off to make our next meal. 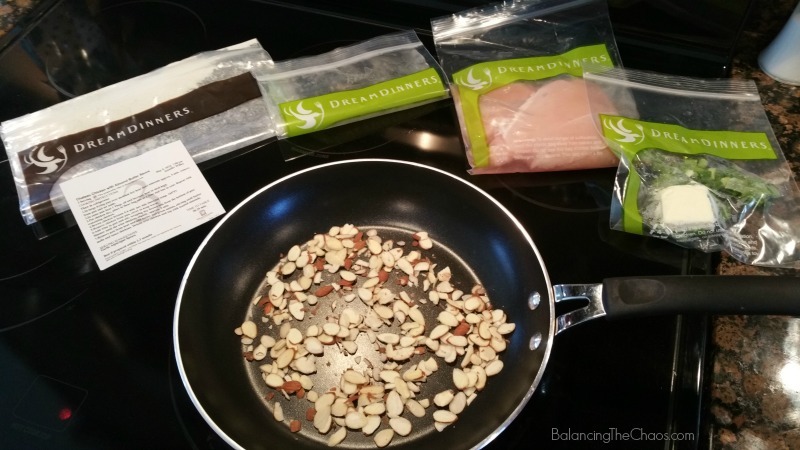 During our girls night sampling event at Dream Dinners we also had the opportunity to sample the Chateau Chicken our hosts packaged and prepared for us. 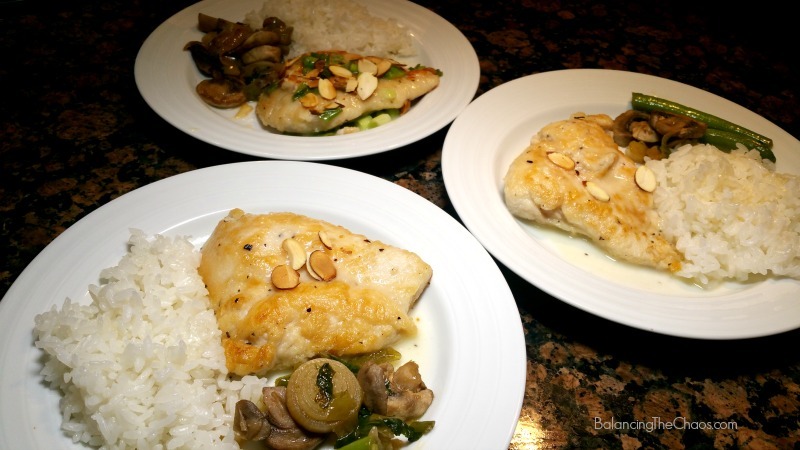 The chicken was moist and full of flavor with just the right amount of almonds for garnish. They had also prepared green beans and the summer pasta. The Green Beans are special sides that you an order separately while the Summer Pasta is a menu item that is very popular during summer months. Once you get your pre-packaged meals home, you can either store them in the refrigerator or freezer depending on when you’d like to serve that particular entrée. You can even plan once a week, or all in a week – it’s up to you and your schedule. For me, since our packages had 3 serving sizes, I decided that when the hubster was off at a softball meeting, it was time to get my princess in the kitchen with me and make dinner. The pre-packaged bags made it easy, especially when you followed along with the directions. First, she browned the almonds. Next, she prepared the chicken breasts by rinsing, patting them dry, then dumping them into the flour/herb mixture. We browned the chicken on each side, then worked on the sauce. While that was cooking, we decided to cook rice in our rice cooker – another easy task she quickly accomplished. In about 25 minutes, we had our meal on the table, and I had a very confident daughter proudly serving her brother an amazing meal. One thing I didn’t think about when I was packaging up the ingredients is that there may be some ingredients a family member may or may not like, may be allergic to, etc. Whatever the case may be, you have the option to add, or skip that ingredient. While I was plating our chicken, I realized that the kids may not like the almonds, so I added a couple to give them a taste. 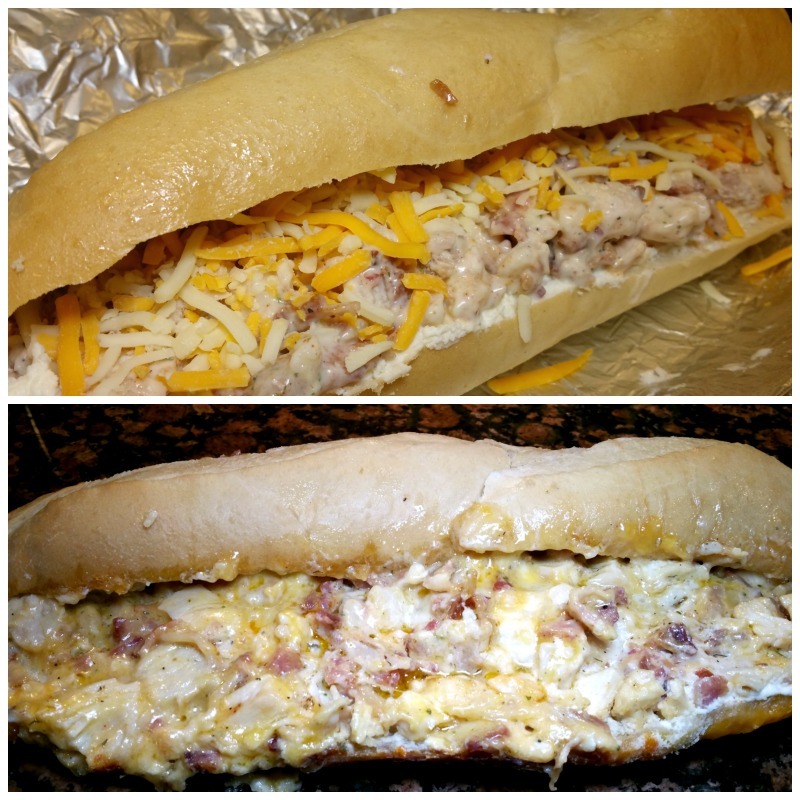 A few nights later we tried the Chicken Bacon Ranch Stuffed French Bread. Since I hadn’t planned a night to prepare the sandwich, I had placed it in the freezer so we could store it a bit longer. In following the directions, it told me to cook the entire sandwich, wrapped up in foil for approximately 45 minutes at 350 degrees. When the timer went off, I was disappointed to find that the center of my sandwich was still cold. So I put it in for another 10 minutes and I realized the bread started getting hard. A quick 5 minutes in the microwave after that and it was ready to eat. So with the Chicken Bacon Ranch Stuffed French Bread, if I were to do it again, I’d probably prepare that entrée within the first few nights of bringing it home so I wouldn’t have to freeze/defrost. 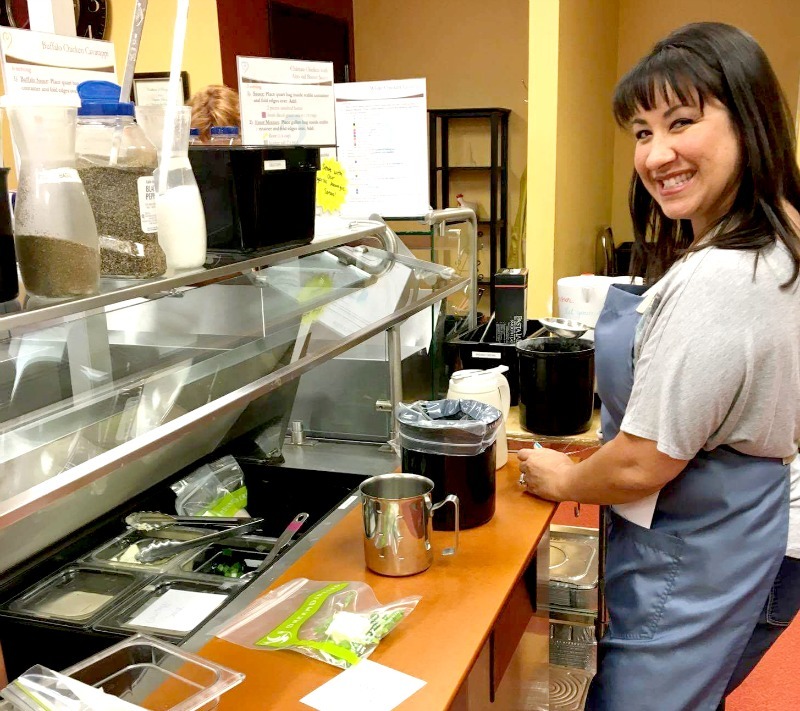 Dream Dinners are ordered by serving size and packages and they have a great introductory rate to get you familiar with the process and how the packaging works. Right now, for $71.95, you can select 18 servings, prepare them in the Dream Dinners Prep center and cook them at home. Typically a 3 serving meal runs you roughly $30; give or take a few dollars. Now if you compare that price to the cost of purchasing all of the necessary ingredients or even going out to eat, this is a cost effective dinner option. Now, honestly, both of my children were a bit skeptical when they saw dinner on the table. I know I HAVE mentioned how PICKY they are when choosing what they want to eat. We made them try it – and come to find out, they loved it. Check it out for yourself, and also find out about how to save by earning Plate Points. For more information, visit Dream Dinners’ website: DreamDinners.com.